The Jacksonville Jaguars are settling into a newly renovated stadium. 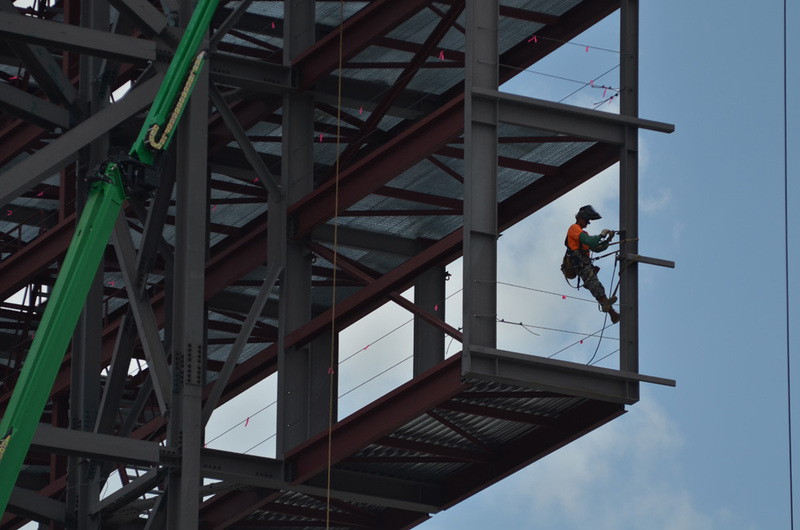 Kelly Flanagan, chief financial officer of the NFL franchise, discusses how the renovation is the latest in a series of moves that are making the team an integral part of Jacksonville’s cultural fabric. How did you come to work for the Jaguars? Your story comes full circle. Kelly Flanagan: I previously worked for Mark Lamping at MetLife Stadium, when he was the CEO there. Mark became president of the Jaguars at the same time I was deciding that I was ready to return home and be closer to family. I returned to Jacksonville before the job offer was made, but when I got there, Mark was able to find a role within the organization, and I joined in a special-projects capacity. I was able to continue to work for someone I had a tremendous amount of respect for, but I also got to go home. How have you broken down the walls between football and the business? Flanagan: If you were to walk through many pro clubhouses, a lot of time you find a divide between the sports operations side and the business operations side. In Jacksonville, we’re committed to breaking down those walls both literally and figuratively. In our offices, we’re breaking down walls and replacing them with windows; increasing accessibility to one another is crucial. As CFO, you place a lot of emphasis on teamwork. How has that worked? Flanagan: Within my role, I take responsibility for making sure that everyone within the organization understands financial accountability. We have 27 departments, and they all go through the same annual budgeting cycle—after budgets are approved we’re able to meet with these departments on a monthly basis and keep them accountable. When everyone participates, all the departments become reliant on one another. No single department can drive the success of the team. That teamwork philosophy you’d expect on the field carries through the organization as a whole. Tell us about the NFL International Series and how you drive added value for fans. Flanagan: The Jaguars have a four-year commitment to the international series at Wembley Stadium, [in London, England]. We host one of our home games at Wembley, and this upcoming year the visiting team will be the Dallas Cowboys. It was a wonderful experience last year: the team embraced it, the coaches and GM embraced it, and everyone loved the opportunity to have something new to experience. How has ownership spearheaded the process of building a new stadium? The public-private partnership seems to have been a great community project. Flanagan: Owner ShadKhan got his start in business and has become very influential within the automotive industry, and has always been passionate about sports—particularly football—and is really embracing owning an NFL team. He’s demonstrated to our community that he’s willing to put the necessary resources into this team achieving success, and the stadium renovation is a huge part of that. It’s that commitment to investing in the city that demonstrates his passion for Jacksonville. An extensive renovation of Everbank Field gives the Jacksonville Jaguars a new place to play ball. The result of a public-private partnership between the Jaguars and the city of Jacksonville, the renovation includes new video boards in each end zone—which will be the largest in the world—and the construction of a new 42,000-square-foot interactive fan area in the north end zone that will reflect the spirit of life in Jacksonville. Media is also playing an expanded role at the stadium. The Jaguars are focused on using the latest in consumer technology and engagement in order to make it easier for fans to get on the Internet and enhance their in-stadium experience. On the food and beverage side, Everbank Field will include new cabanas and outdoor lounges that embrace the Florida spirit and showcase the coastal nature of Jacksonville, featuring the beautiful waterfront. What do you hope this achieves for the city? Flanagan: Fan entertainment is at a premium for us—our goal is to really create a great sports destination for fans in Jacksonville and the surrounding region. We are interested in bringing more events to Jacksonville. You’ve also been involved in acquiring a team in the English Premier League. What was that like? Flanagan: It’s been great. Last summer, a couple of folks at the Jaguars helped our owner complete the acquisition of Fulham F.C., an English Premier League soccer team based in London. It was a tremendous experience to be a part of. Each club, the Jaguars and Fulham, operates as a stand-alone entity, but we work together to drive synergies for one another. As part of the unveiling of the scoreboards at Everbank Field, we had Fulham here for a friendly match with DC United, which is just one way in which we’re delivering added value to our fans here in Jacksonville. 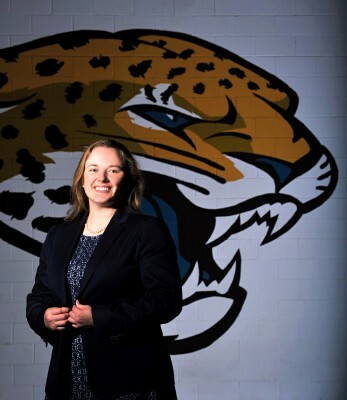 Why has your position with the Jaguars been so instrumental in your development as an executive? Flanagan: I think that my career development has been a function of my willingness to work hard and the great fortune of working for people who were supportive of my development. If you’re going to put that much time into work and your career, mutual respect is key. When you have that, it makes it a rewarding experience.